It’s time to Rethink Your Water and try ? So as a personal trainer and certified sports nutrition expert, I know first hand how important proper hydration is to the human body. I recently came across a product online and because it is not yet available in my area, I purchased it through amazon. After tasting this plain water, nothing added, it blew me away. The taste is so crisp, it truly makes everything else taste better. My snacks and meals all have more enhanced flavors. So by now I know you’re already wanting to know what “water” has me so excited, and am I going to share this info with my readers? It’s Kona Deep. A premium bottled water that’s sourced at 3,000 feet in the sea adjacent to Kona Hawaii, where seawater is thousands of years old. It’s completely free of pathogens and contaminants because the temperature at this depth is too cold for living organisms and pollutants. The seawater’s unique location is at the end of a deep undersea current. This unique spot is called the global conveyor belt. Kona Deep is desalinated, and bottled at the source keeping it 100% pure, no additives, Hawaiian water. 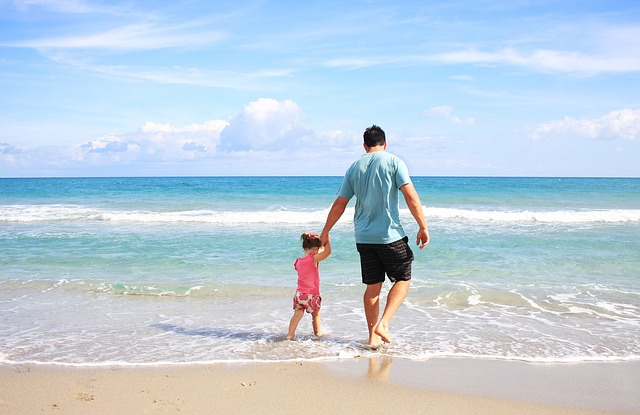 The purity of Kona water is verified and certified by the natural energy laboratory of Hawaii authority. 100% deep sea water from Hawaii. Kona deep is naturally rich in 60 minerals and organic compounds essential to the human body. 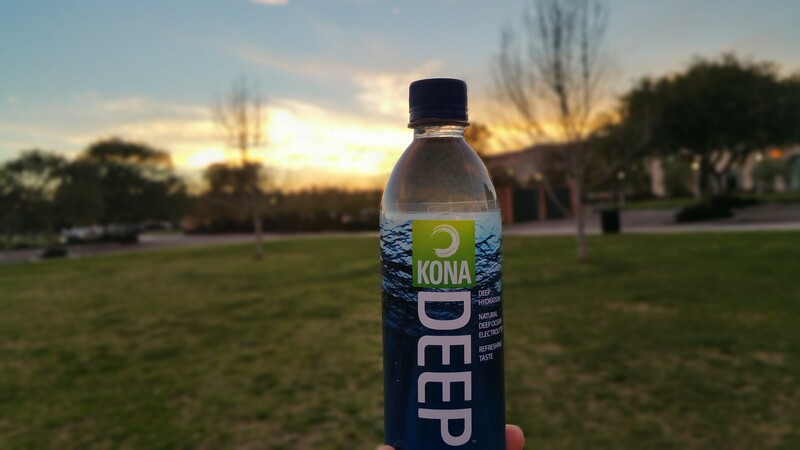 Kona Deep has a natural pH of 6.7, close to the human body’s own levels. It’s naturally-occurring electrolytes are crucial for hydration and body balance. Kona Deep® is naturally rich with deep ocean electrolytes which are quickly and easily absorbed. In fact, a new study underway at the University of Arizona seeks to evaluate the impact of post-exercise hydration with deep ocean mineral water on exercise performance, rehydration and recovery. Interim results further strengthen this connection. Some more great news is that they are going to roll out this product later this year all over the mainland U.S. Currently available at a variety of local Hawaiian retailers, including grocery stores such as Foodland, Safeway and KTA, convenience stores, like Minit Stop, natural stores, such as Down to Earth and military exchanges like AAFES, in 500mL and 1L bottles. But it is also making its debut in the contiguous United States in Arizona! Kona Deep® is available in 500mL and 1L bottles at Sprouts Farmer’s Market, AJ’s Fine Foods, and Basha’s locations across Arizona. Consumers can purchase 12 and 24-bottle cases of Kona Deep in store or online at www.amazon.com. The brand will begin to roll out into other mainland U.S. markets in 2016. 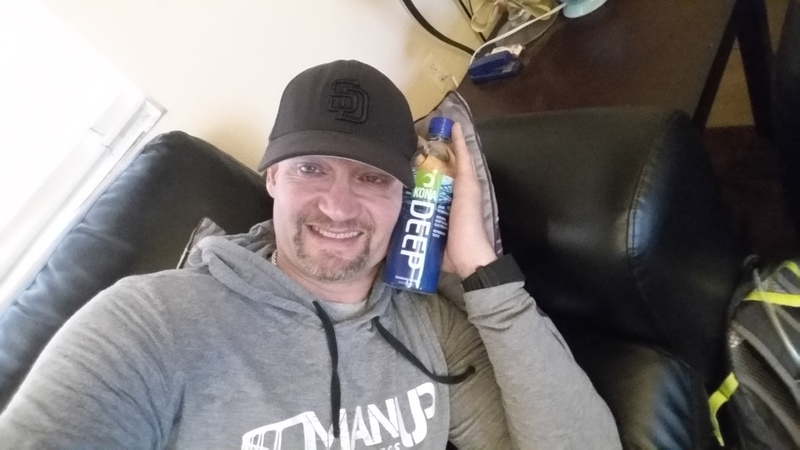 As part of my partnership with Kona Deep, I get to pick one of my Instagram followers to win Kona Deep bottled water! Comment using #RethinkYourWater why it’s important to fuel your day with electrolyte water for your active lifestyle. Optional Extra Entry: Share this image on your own Instagram account using #RethinkYourWater and #contest. *Open to USA residents only, must be 18 to enter. NO PURCHASE NECESSARY TO WIN. Chances of winning are dependent upon the number of entries received. This promotion is in no way sponsored, endorsed or administered by, or associated with, Instagram*. It’s not just for your legs: These rolling patterns address trouble spots from head to toe. Most educated exercisers have joined the foam rolling revolution. But while your IT bands may be more then familiar with the tool’s hurts-so-good loosening powers, limiting your journey to the lower body minimizes the overall body benefits. With that said Man-Up Bootcamp has designed this head-to-toe rolling regimen. Each of the following rolling patterns address the most problematic areas we have personally found in our athletes and other clients movement dysfunction and pain. You should spend 30 seconds to a minute or more on each individual movement,and if it’s a regeneration or recovery day, take even more time, between 2 and 3 minutes for each move. 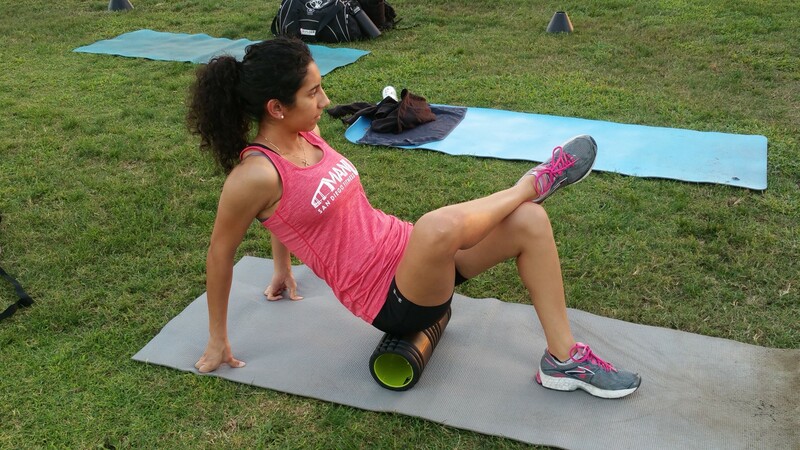 And there’s more to the technique than you might think read on for five most critical rules of foam rolling. (1) Hydrate Ahead of Time. Even though foam rolling helps hydrate your tissue, you should down between 10 and 20 ounces of water beforehand, which helps prep the muscles for the work you’re about to do. “In general, hydrated tissue is resilient and pliable while dehydrated tissue is glued-down and sticky, which creates adhesions and movement dysfunction. (2) Roll Before And After a Workout. Most of us wait until we finish a workout to hit the roller. Instead, scrapp static stretching and using the tool for your pre-workout warm-up. As much as it’s a recovery tool, the foam roller is also a preparatory tool,So think of foam rolling as a way to ‘smooth’ or ‘iron out’ the connective tissue and muscle. Foam rolling actually increases circulation so the connective tissue and muscle are getting more oxygen and water than if you just stretched. (3) Slow It On Down. Foam rolling can hurt, and you’re only human. But speeding through each movement is a wasted opportunity. “The biggest misuse I see is others rolling extremely fast, most likely to avoid the discomfort of the roller,” we want you to go slow, purposeful motions. If we go back to the ironing example, a quick-moving iron will not apply enough heat and/or steam and the article of clothing will still remain wrinkled. The key is to focus on these painful areas because they need the most attention and desperately need oxygen, water, and nutrients. (4) Move In Multiple Directions. It’s not just up-and-down, up-and-down. If you look at the angle of how the muscle and fascia attach, it’s not straight up and down—some fascial attachments run from front to back or in spirals. The key is to not only slow down the foam rolling, but also add side-to-side movements, cross-friction (rubbing the spot being rolled side to side on the roller) and flexing and extending the joint being rolled. (5) Make It A Routine. Even on days that you’re not in the gym, foam rolling should be part of your repertoire. I try to use the foam roller daily as maintenance for my fascia, it’s kind of like flossing—you need to do it every day to make a difference even if it’s only for 5 minutes. But deep cleaning is necessary, too. I think an important fact to remember is that foam rolling doesn’t take the place of a great massage or body working session. Position yourself on your right side, with your right leg flat, knee bent 90 degrees, your left foot flat on the floor. Place the center of a foam roller beneath your right arm pit, perpendicular to your body, and extend your right arm straight, resting your left hand on the foam roller. (Reach that right arm as far as possible to create more of a stretch.) From this position, roll from your armpit about four inches down towards your waist, and back again, for 30 seconds to a minute. Switch sides; repeat. Lie faceup with feet shoulder-width apart and flat on the floor. Center a foam roller beneath your mid-back or shoulder blades so that it is perpendicular to your body. (Note: You can move the foam roller up and down to target different areas of the thoracic spine while still doing the extension motion.) Extend arms out from shoulders at a 45-degree angle. Reach arms back behind you towards floor and back again for 30 seconds to a minute. Make sure that the lower back doesn’t extend—think about pushing the lumbar spine into the ground as you are reaching back. Lower yourself onto the floor, extending your right leg out in front of you, and bend your left knee so that your lower leg is behind you. Place the end of a foam roller beneath your upper right hamstring, just below the glute, and place your hands on the foam roller on either side of your leg. Roll your upper hamstring just enough so that your foot flexes down, and roll it back again, for 30 seconds to a minute; switch sides and repeat. Get on the floor, resting on your forearms, and center a foam roller beneath your right quad, your right leg extended directly behind you. Roll from the bottom of your quad to the top, rotating from the outside of your quad to the inside, in one fluid circular motion. Roll for 30 seconds to a minute; switch legs and repeat. Place a foam roller on the floor and rest your body on it just below the hips. You should shift your weight and emphasize one side of the pelvis. 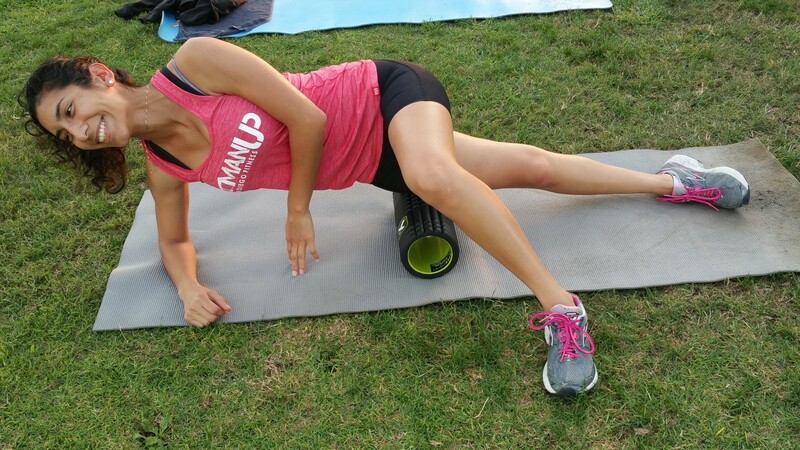 Slowly roll your body over the foam roller from your hip towards the top of your knee and then back to the hips. Rest on any tender spots for ten-plus seconds until you feel the feedback dissipate. For some, rolling can be pretty brutal. In this case, attempt to take some weight of the roller by bracing your body with your non-involved limbs. 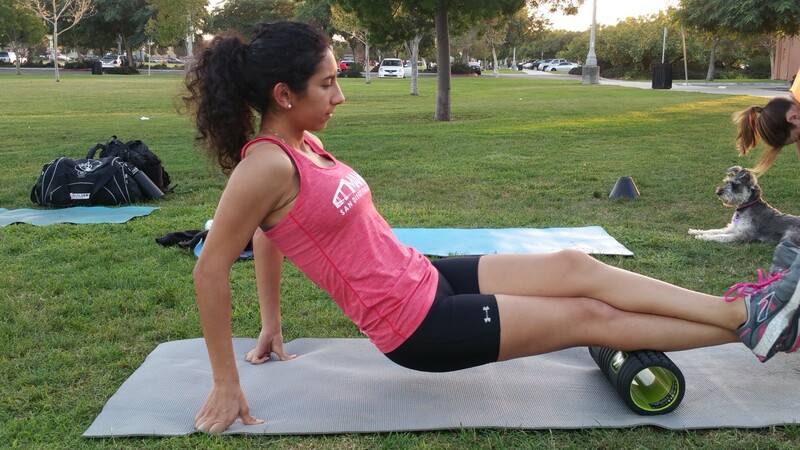 You can also utilize a less dense, softer foam roller. Spend 3 to 5 minutes rolling pre-workout, 10 plus minutes rolling on off days. What causes it, and what can you do? This article will cover the anatomy of the ITB, several of the proposed theories behind why ITBFS develops, measures that can be undertaken to prevent it in the first place and treatment options once the problem has taken root. Of all of the injuries that can beset runners, the iliotibial band friction syndrome (ITBFS) is by far one of the most common and frustrating. The post A DIY Guide to Managing IT Band Syndrome appeared first on Competitor.com. Do You Hate Foot And Toe Cramps? Is An Express Spa Service Worth It? 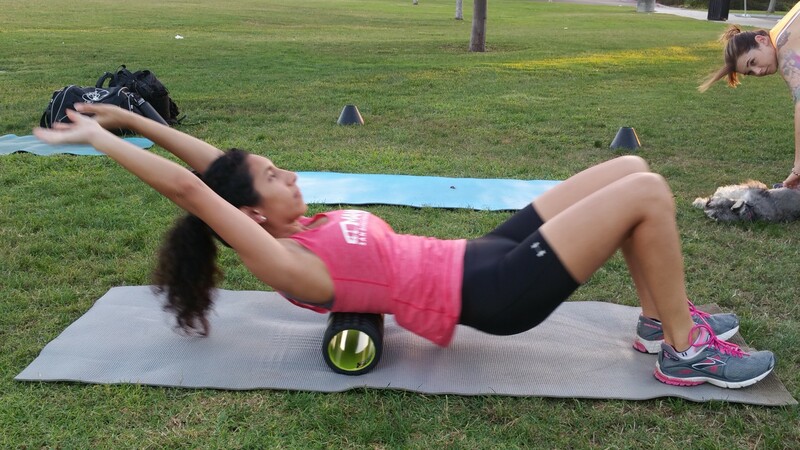 If you are still of thought that foam rollers are for everyone else, then you are missing out on one of the most effective tools at your disposal for totally fit body, recovery and injury prevention. 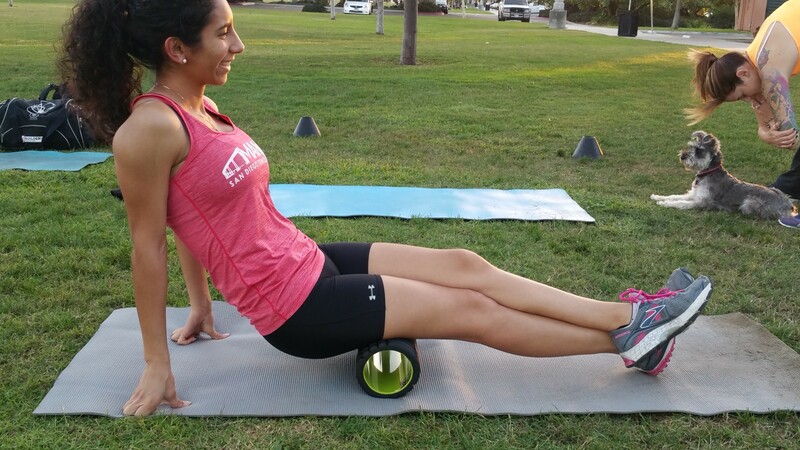 Rollers are the most popular mechanism for self-myofascial release, or SMR, and are gaining popularity among elite athletes of all walks because of the drastic and usually immediate impact it has on their performance and overall health. Here are some of the most frequently discussed aspects of SMR as it pertains to dedicated lifters. WHAT THE WORLD IS SELF-MYOFASCIAL RELEASE ANYWAY? WHAT ARE THE BENEFITS OF SMR FOR THE EVERYDAY FITNESS WARRIOR? SMR can have a wide range of benefits for the everyday workout beast. Some of the basic, most obvious benefits will be increased blood flow throughout the body, better movement and increased range of motion. These benefits can decrease the chance of injury and decrease recovery time after a workout. A decreased recovery time means more training sessions per week/month and results can come quicker. Increased circulation is huge for recovery and greater ROM means you get to work muscles more thoroughly on lifting days. 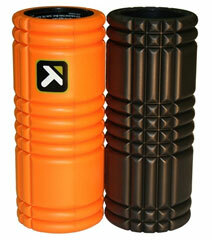 WHAT ARE THE SIMPLE THINGS YOU CAN DO ON THE FOAM ROLLER TO START SEEING PERFORMANCE BENEFITS? The first region to do to start seeing results is to foam roll your calves. Most of the things we do negatively affect our calves. From the shoes we wear to the way we sit in a chair, our calves are in a shortened position most of the time. This limits the range of motion of the ankle and reduces function up the rest of the body. To address this, begin by placing one leg on the roller, then place the other leg on top of it. Raise the hips and slowly begin to roll to the knee. If you find an extra tender spot, stop and hold. After about 20 seconds continue to roll through the area four times. Then set the hips on the ground and rotate the leg four times side to side. The second best region is to foam roll the quadriceps. Again, from the things we do, this area can become shortened and affect the function of the hips and put additional stress on the low back. Begin by lying down in a plank position and place the GRID Roller just above the kneecap. Slowly roll down (about an inch per second) towards the hip. If you find a tender spot, stop and hold for about 20 seconds. Then resume the rolling. After four rolls, bend the knee 4 times. Make sure to breathe through all of the rolling. 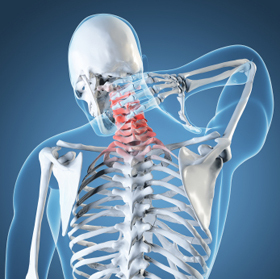 The third best region to do is foam roll the upper back, the thoracic spine. This area is designed for rotation and extension. With the postures most people are in, this area gets stuck. Begin by sitting on the ground and lay back to where the roller is just below the shoulder blades. Support your head with your hands and lean back into slight extension. Raise the hips and begin to roll towards the shoulders. Make sure not get pressure onto the neck. This area normally does not feel as tender as the others but if it does, again feel free to stop and hold pressure on one spot. Roll through the area of the spine four times with the hips up. Then, set the hips down and perform four crossfrictions, by mimicking an oblique crunch (side to side) with pressure on the roller. In the perfect world SMR would be done both before a workout as part of a warm-up and as part of a cool down. As part of a dynamic warm-up, it should be the first thing done, before any stretching or cardio. Here, it promotes blood flowing the areas that maybe aren’t receiving as much blood flow and helps to reduce tension in muscles. As part of a cool down, the rolling helps to flush out blood that has pooled in the working muscles and allows fresh nutrients and oxygen to come in and begin the healing process.